Israel is considered as one of the holiest country in the world. This is the main reason why thousands of religious people visit this place every year. Israel travel is spiritual in nature and meant to give an extraordinary experience to tourists. People come in groups because they find it enjoyable to explore the place’s sacred significance and savour its unique atmosphere along with new found friends with common interest. Israel, for Christians, Muslims, and Jews, is definitely a holy land. This is one place you’ll see different religion pray and reflect at the same place, respecting one’s spiritual views and faith. In other times, people come here to be healed, spiritually or physically. The Church of the Holy Sepulchre is also known the Church of Resurrection, and believed by the many as a sacred place where Jesus Christ was buried and resurrected. Applauding loudly outside the church has been a new tradition by the tourists, to recognize the rich history and unique beauty of the church. The Church of Nativity in Bethlehem is one of the oldest active church. The structure of the church is built over the mark where Jesus Christ was born. 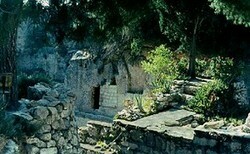 The Garden Tomb is located in Jerusalem and also believed where Jesus Christ was born and resurrected. The claim only arise in the nineteenth century, which made some doubts about the Church of the Holy Sepulchre. Facts were based from the burial rules and geographical location of the site. The Western Wall/Wailing Wall/Kotel has been a place for Jewish pilgrimage for many years. This is also known as Al-Burat for the muslims, a spot where they mention a couple of benedictions and/or kissing/touching the wall. However, they do not pray on this spot unlike Jewish and Christians, because they only give their prayers in mosques and temples. The Shepherd’s Field is another sacred place for the Christians because this was identified where the Angel of the Lord appeared and made the announcement of the coming of Jesus Christ. Aside from these well-known sacred places, there are still other tourist spots in Israel that are worth to be visited like the “Shrine of the book.” This is where some ancient Dead Sea scrolls are being kept and preserved. They are national treasures because of their significance to history. In addition, there is also the Mt. Hermon, Mt. Olives, and Caesarea to visit. The latter is a primeval Roman city that lies along the Mediterranean Sea. When you plan your trip, go for the package that suits your needs, interest and purpose for visiting Israel. With this, it is important to do your research beforehand by speaking to different travel agencies. Interacting in forums can give you first-hand information and great tips about Israel adventure too. Of course, your choice must also be based on how much you are willing to spend for the vacation. Proper planning can make your trip a memorable and enjoyable experience. Bruce Feiler provides a riveting introduction and welcome review of what ancient sites and modern cultures have for readers and viewers Walking the Bible.